Perhaps it’s the August heat, but I’m in the mood for a midsummer rant, and the topic is iTunes. Don’t get me wrong; as many a Visa bill will corroborate, I’m a regular iTunes user. 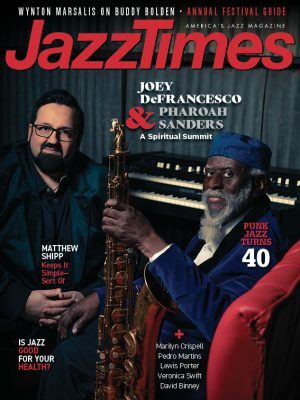 It can serve as a terrific research tool, particularly when I find myself reviewing an album by an unfamiliar jazz singer and want to dig deeper into her or his catalog. And iTunes can be a great source for material that is otherwise out of print or available only via expensive and hard-to-find imports. Case in point: this past May, two releases from a label I’d never previously heard of – Smith & Co. – were added to iTunes’ assemblage of Jackie Paris albums. The first, entitled simply Singles, gathers together several rarities from Paris’ earliest years, including a version of “Skylark” that pre-dates his celebrated 1957 recording and two duets with vocalist Tamara Hayes, recorded for RCA in 1954. 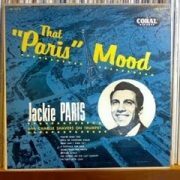 Also available are the eight sides he recorded for Coral in ’54, released as That “Paris” Mood. Last year, iTunes did take a step forward with the introduction of its “iTunes LP” tag (you’ll find it in the menu on their Music home page) that, if attached to an album’s listing, does provide full information about composers, musicians, recording dates, etc. and, quite often, adds intriguing bonus material. But, to date, “iTunes LP” is available on only a sliver of the massive iTunes catalog. You’ll find it, for instance, on the Rolling Stones’ Get Yer Ya-Ya’s Out! and Jimi Hendrix’s Valleys of Neptune but not, say, on Ella Fitzgerald’s The Irving Berlin Songbook or Charlie Parker with Strings. Also, that bounty of iTunes LP info is only available after you’ve downloaded the album. I do, of course, appreciate that iTunes serves primarily to serve up a zillion or so downloads of items like the latest Katy Perry or Lady Gaga track, and is designed more for pre-teens than pre-retirees. Yet surely that reinforces my point. Take Glee, for instance. The megahit series has led millions of young listeners back to classic material, most of which they’re likely getting from iTunes. So, let’s suppose that some kid is so taken with the Glee students’ performance of “A House Is Not a Home” or of Lea Michele’s bravura treatment of “Don’t Rain on My Parade” that they rush to iTunes to download the Dionne Warwick or Barbra Streisand originals. Shouldn’t Burt Bacharach and Hal David get as much credit (if not more, since it was the actual song that initially intrigued the Glee viewer) as Warwick, or Jule Styne and Bob Merrill’s names be as prominently displayed as Streisand’s? Finally, what about the liner notes? I, for one, would have loved it if the original, back-of-album essay from That “Paris” Mood had been included with my download. Admittedly, iTunes does, occasionally, include downloadable notes, complete with personnel listings, etc. Jackie Ryan’s latest, Doozy is a fine recent example of an album that, one downloaded, comes complete with detailed notes and credits. Presumably, inclusions of liner notes are at the discretion of the record labels. If so, it’s disappointing that, far more often than not, they choose not to bother. Perhaps, though, I’m being too demanding. If, after all, I want more information about those Paris tracks or anything else I download from iTunes, there are all sorts of reliable sources online. And the mere fact that iTunes goes to the trouble of facilitating the needs and interests of all music fans, regardless of genre or era, is to be applauded. But someday, in some idealized incarnation of iTunes, I hope that all the songwriters and sidemen (and women), not to mention the producers, editors, mixers and liner notes authors, whether they’re supporting Jackie Paris or Justin Bieber, finally get the credit they’re so deservedly due.